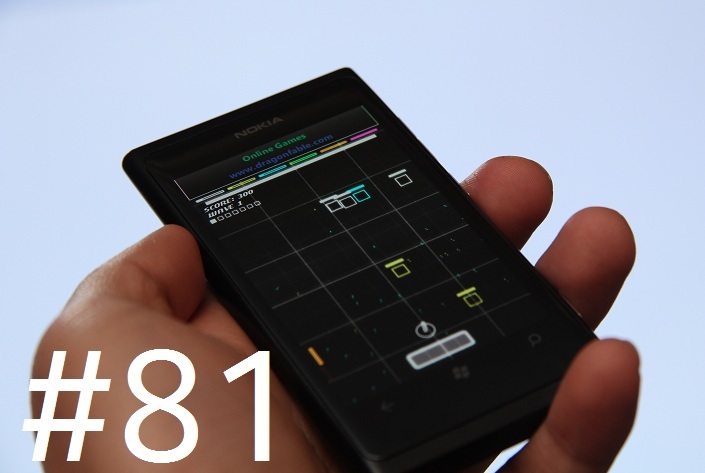 Chromatic is an app I recorded a while ago on my Nokia Lumia 800. It’s a simple and fun shooting game where you just tap and aim your gun to shoot at incoming enemies. You have different guns and you can obtain different powerups of which you have to balance correctly in order to kill your enemy. You can use multiple fingers to fire the default gun at several places though things like lasers and missiles have a longer wait time in between each shot. Also to increase accuracy, you might want to fire less haphazardly. unique guns and three unique powerups, each with its own color and power. String together multi-kills for massive points and try to make the global leaderboard! Features cool neon graphics, custom sound effects, original music, as well as all-time, weekly, and friends leaderboards. ChromaticPro is also available in the marketplace for ad-free gaming. -Powerups have been added! Level-up and equip the Nuke, Shield, and Multiplier-Bonus powerups for even higher scores. -Mango support for fast app switching. Wow!